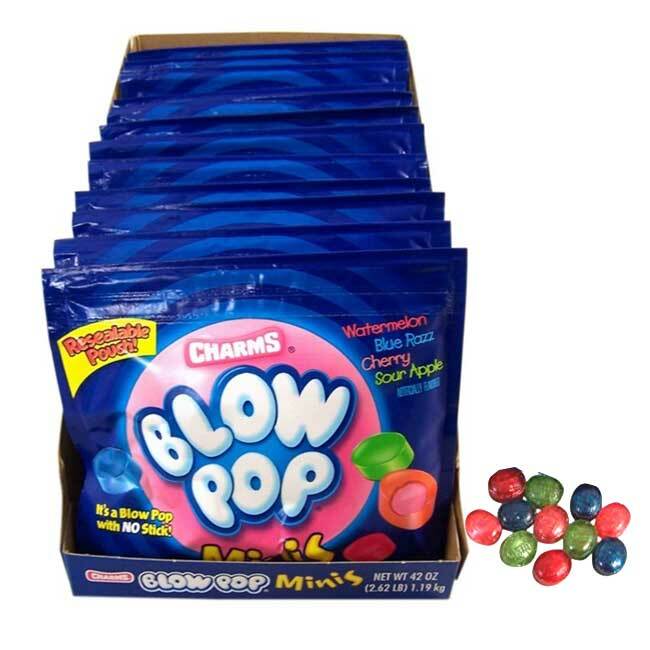 Blow Pop Mini pieces candy.There are 12, 3.5oz pouches per box. Just like the lollipop you've grown to love, but these are pieces packed inside a pouch. Can of Nostalgic Candy 60 Pieces!